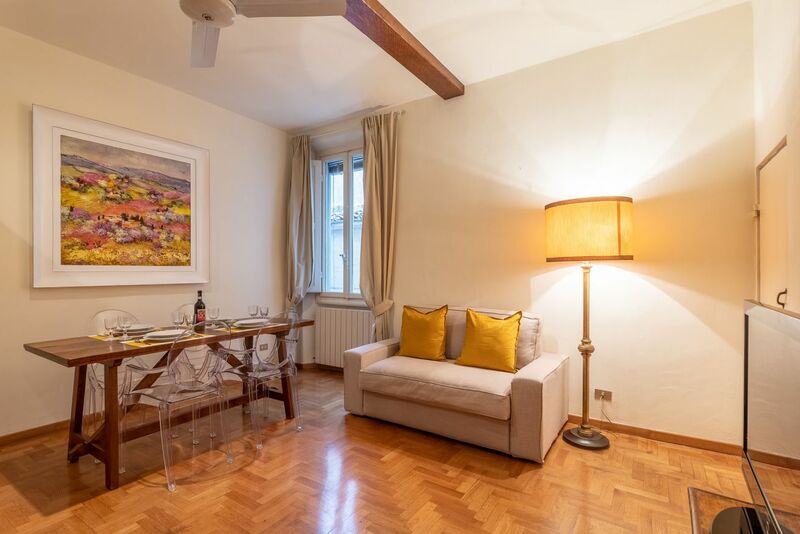 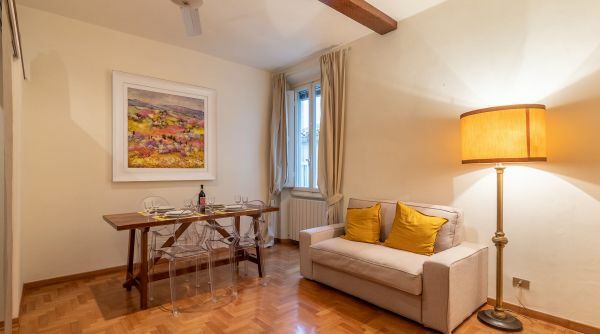 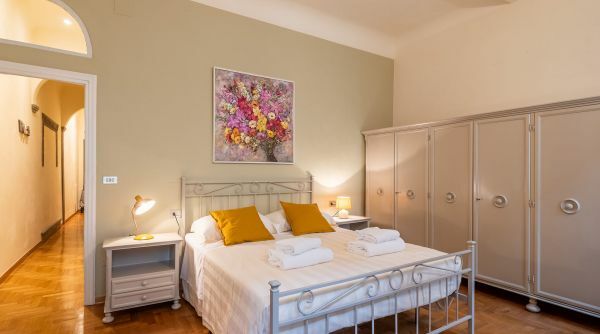 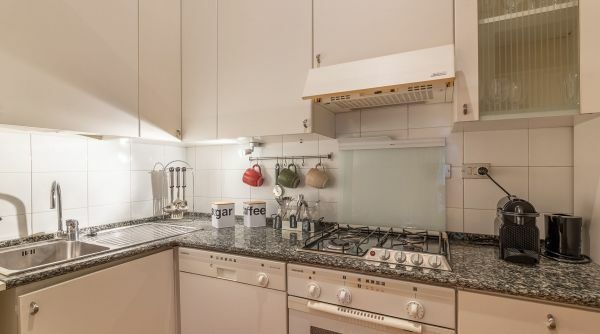 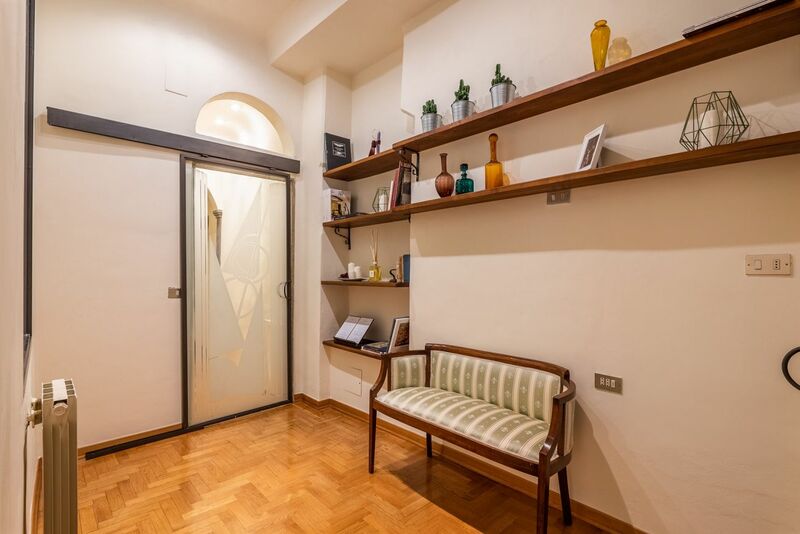 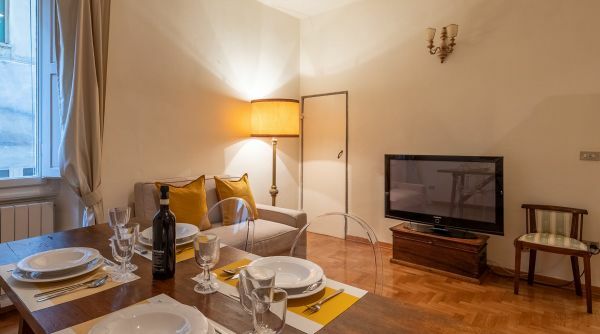 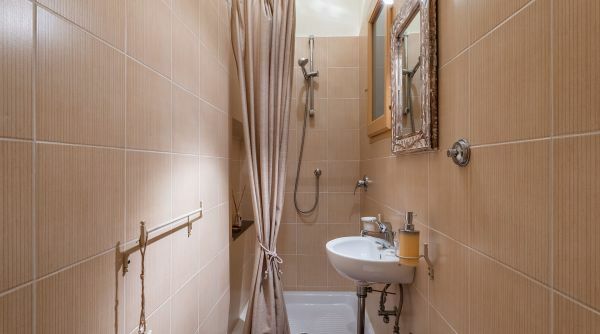 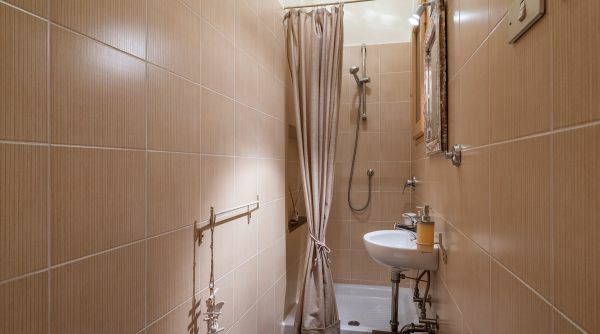 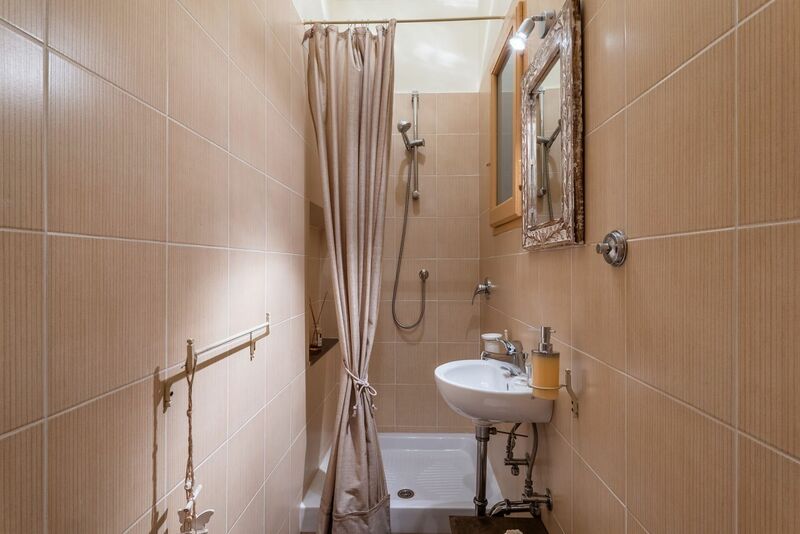 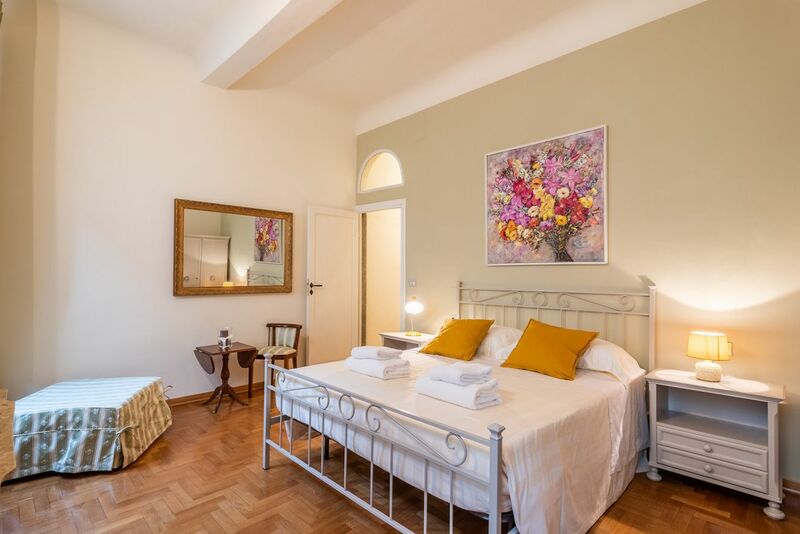 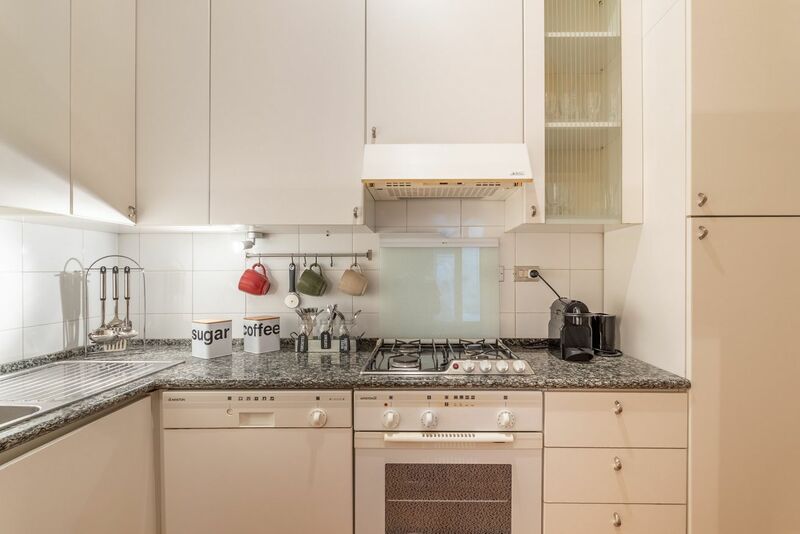 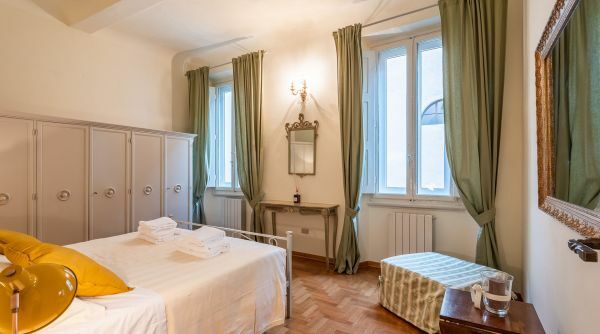 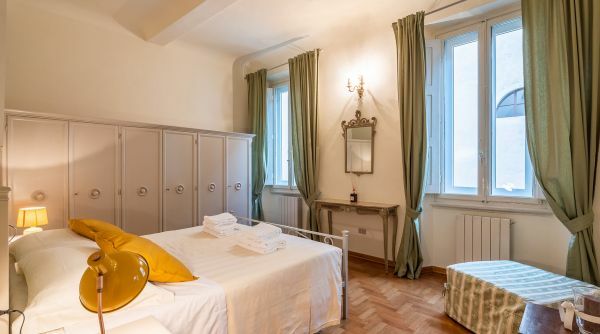 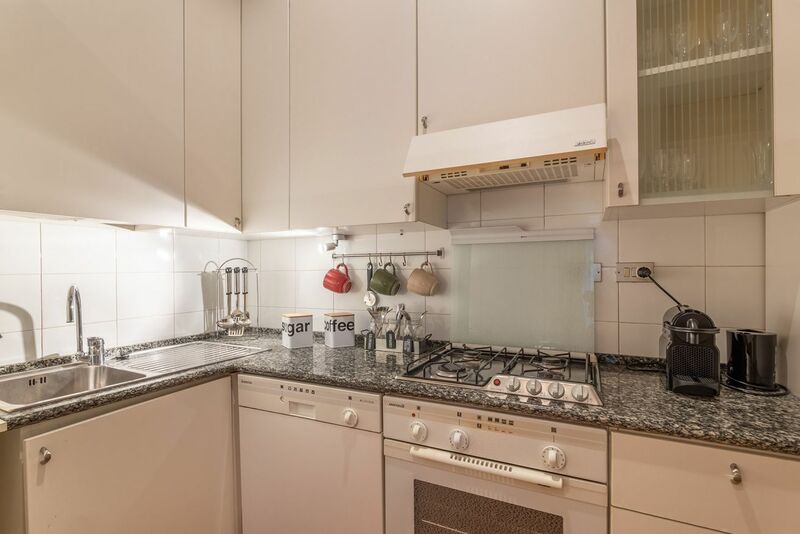 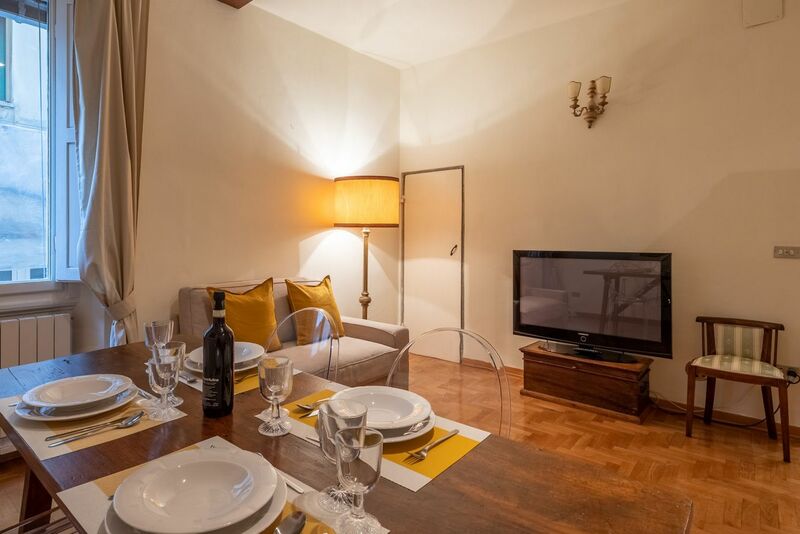 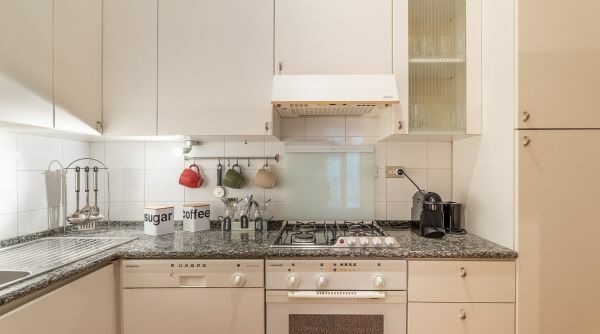 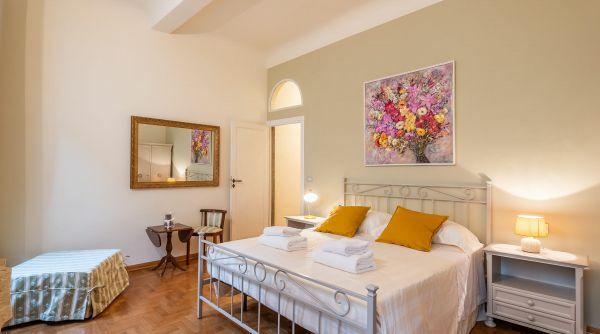 The Painter's house in Santa Croce is a beautiful apartment to rent in Florence located on the first floor in via dei Macci just steps to the wonderful Piazza Santa Croce and to alla the main apartments of the city. 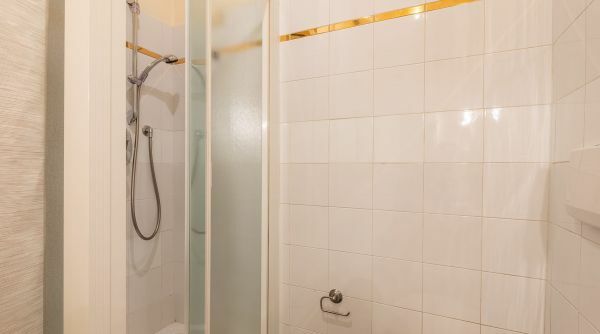 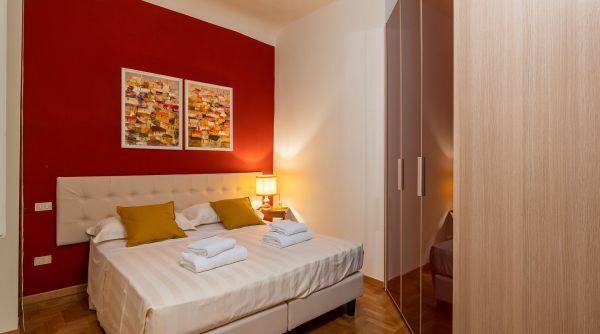 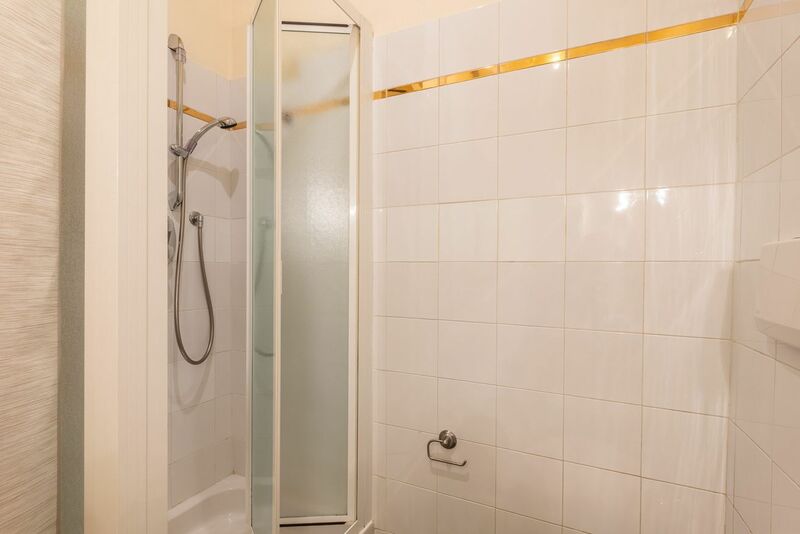 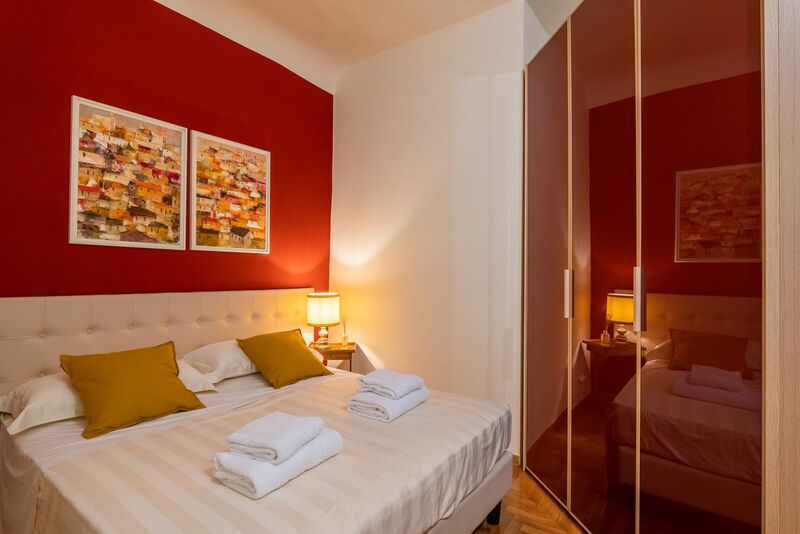 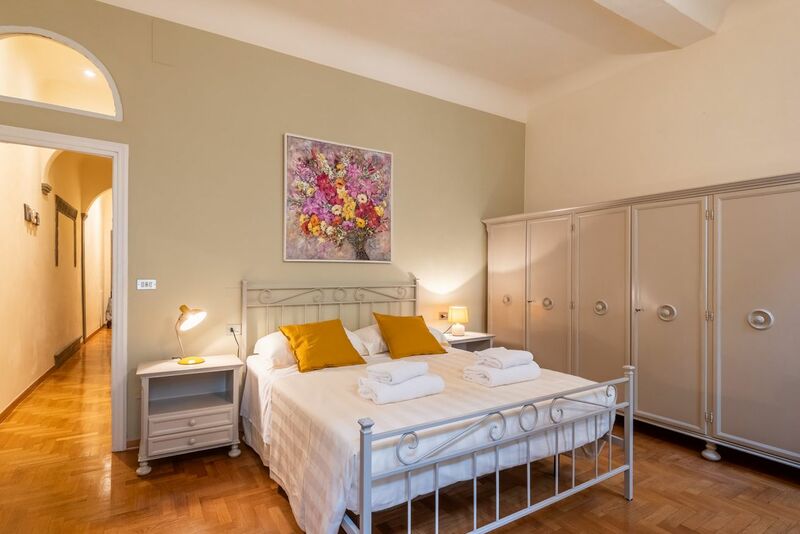 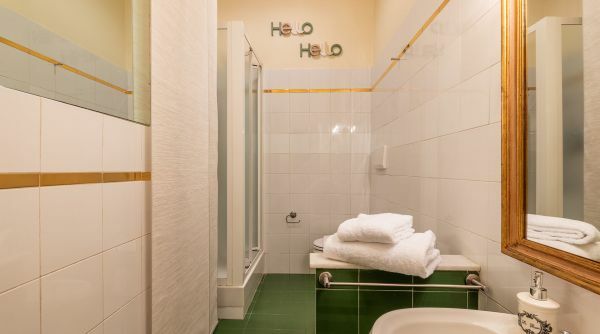 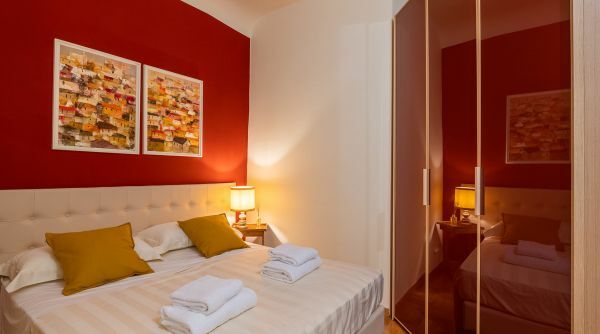 The apartment consists of two bedrooms (the first one with one queen bed and a single bed; the second one with two single beds), a living room with one single sofa bed, kitchen and two full bathroom with shower. 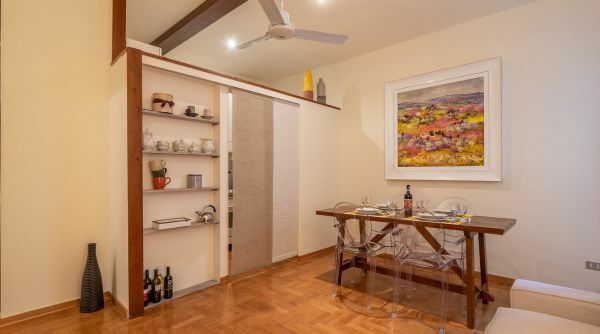 Here can stay up to 6 guests. 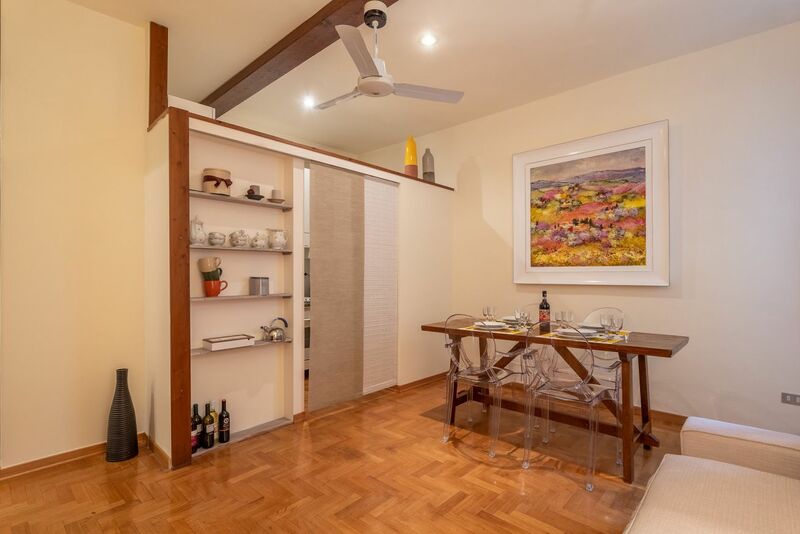 This house is equipped with air conditioning, independent heating, internet Wi-Fi and TV. 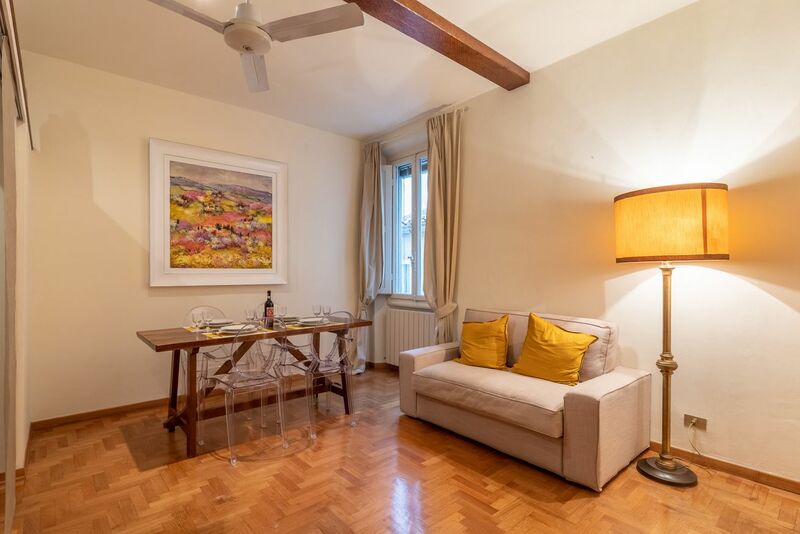 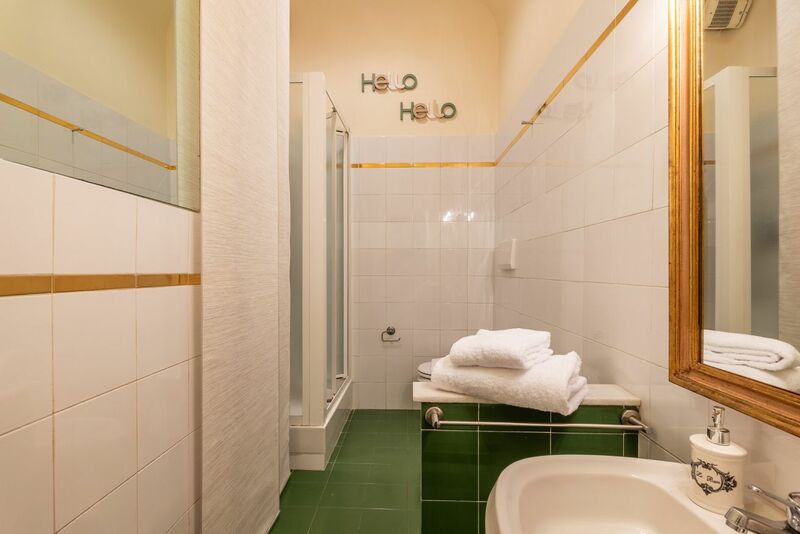 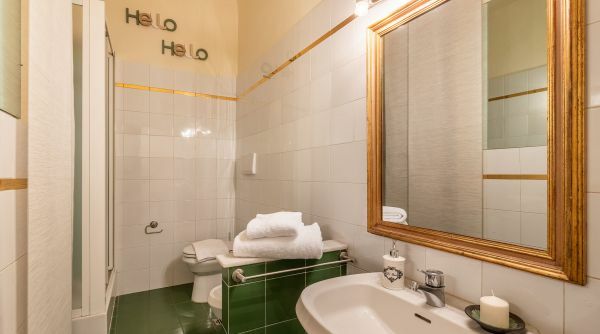 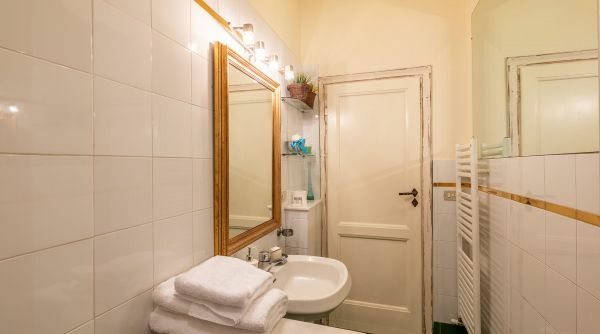 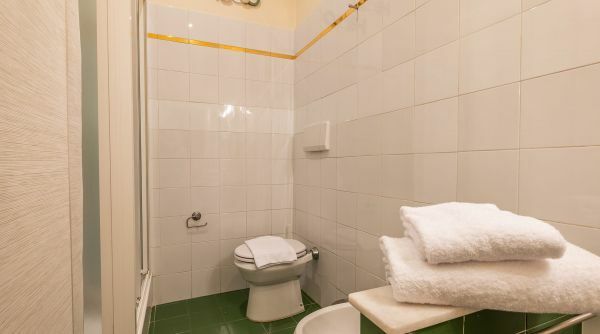 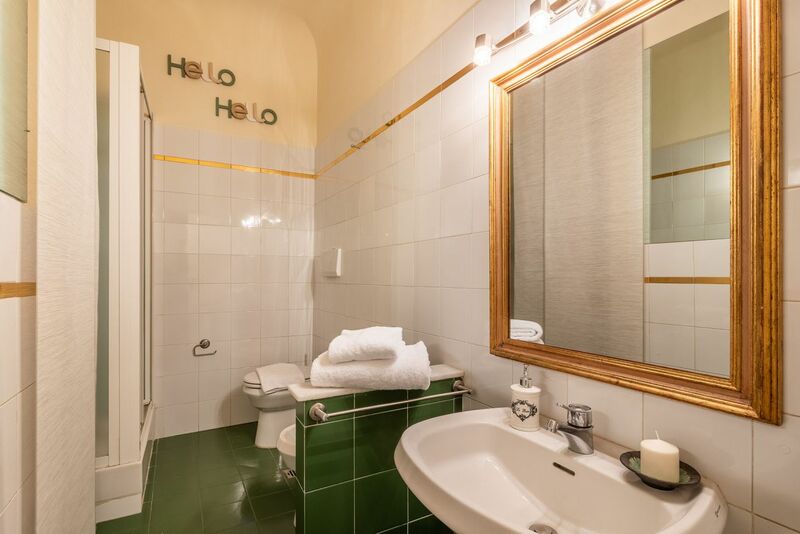 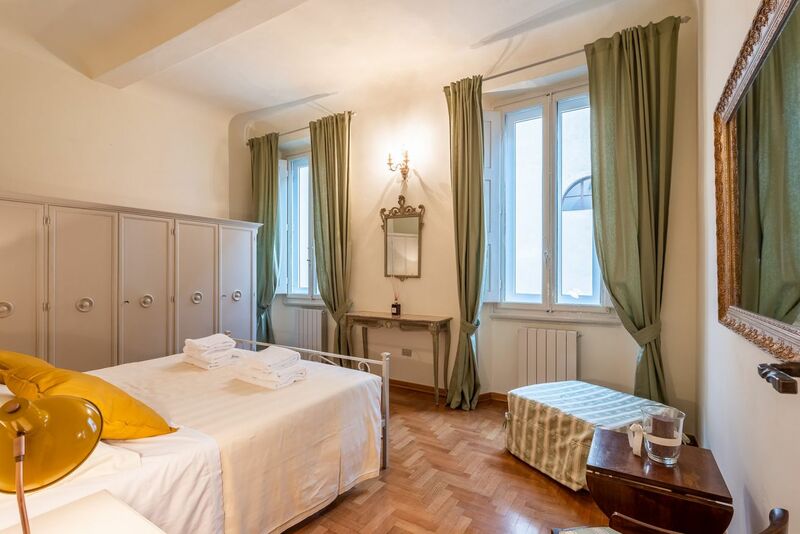 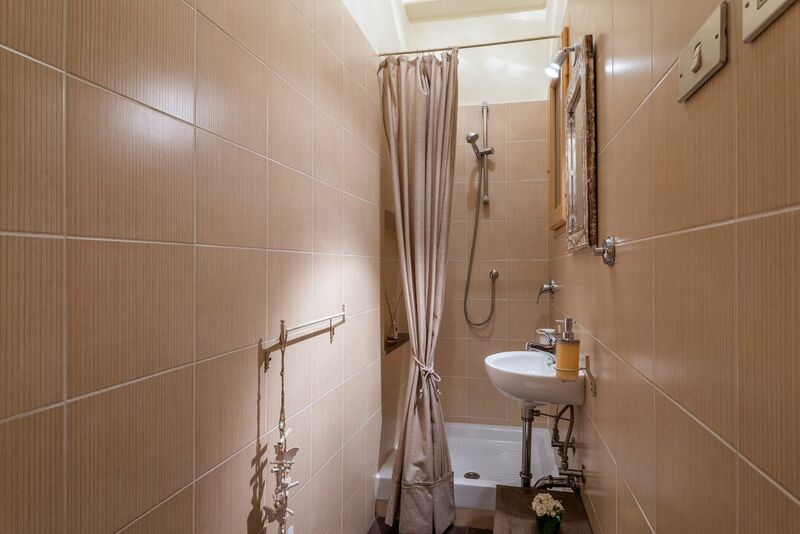 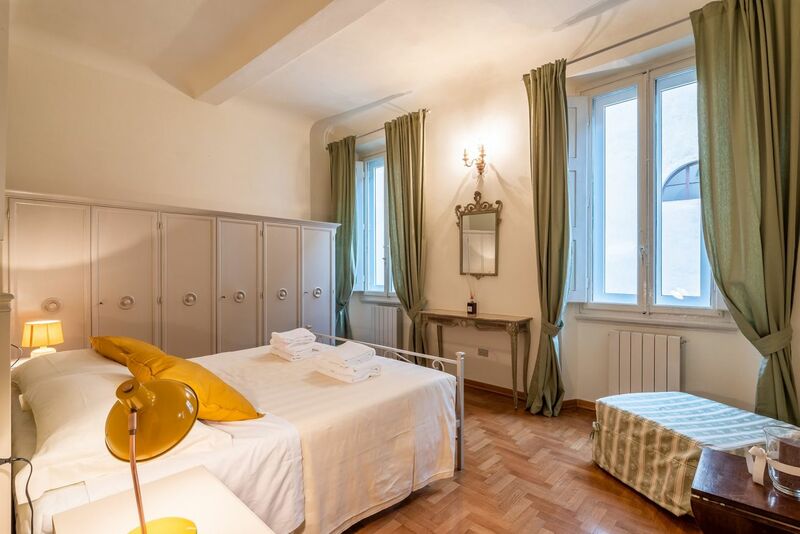 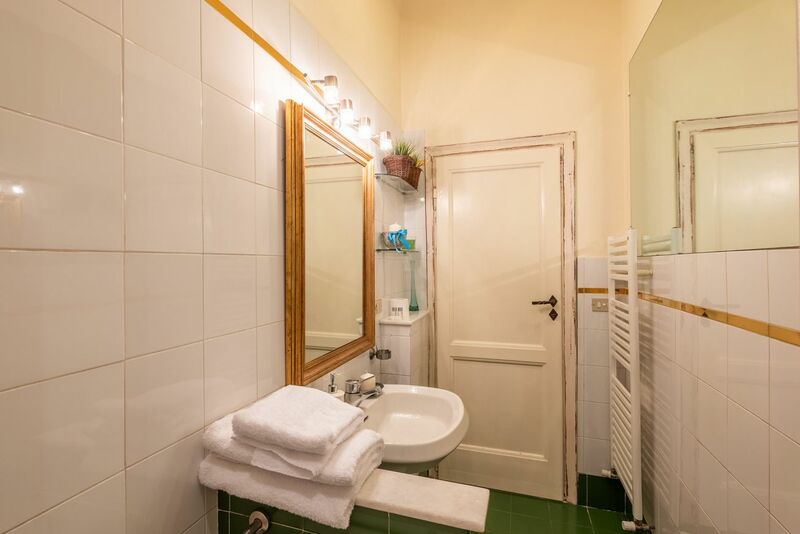 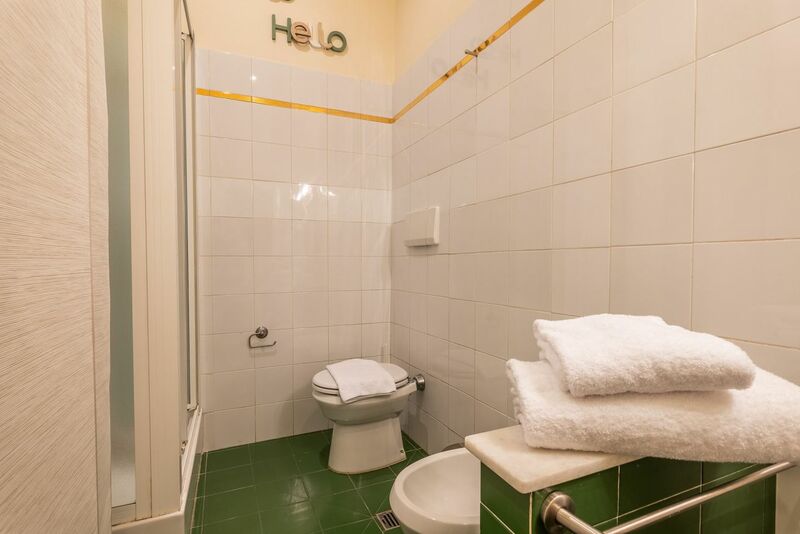 The apartment Painter's House is in the lively and characteristic neighborhood of Santa Croce into the very heart of the historical city center of Florence. 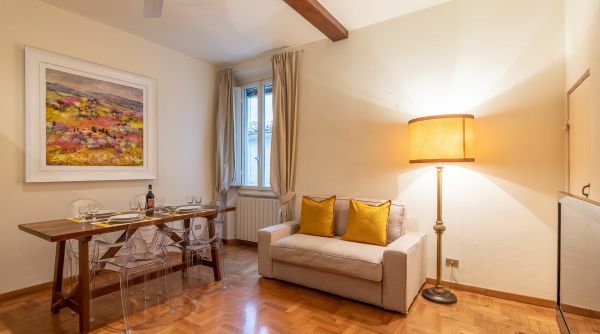 From here you can easily get by foot to all the main points of interest of Florence, it takes only 5 or 10 mnutes to ge to the Duomo, the Uffizi Gallery and the Duomo. 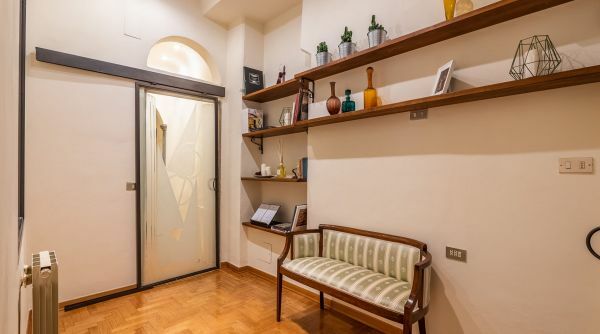 From the main train station of Florence, Santa Maria Novella, you can get a bus, lines C2 and 14 by ATAF.